The North York Moors seem lighter and more moderate than the Yorkshire Dales. The moorlands are not so high, the highest point is less than 1500 feet, and the hills are gentler and there are many woods there. 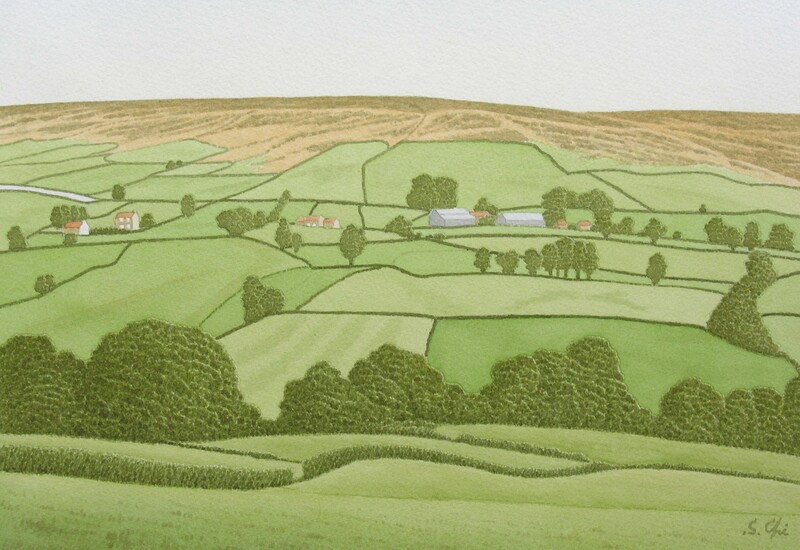 In Farndale, which is situated near the centre of this national park, brackens grow thick on hills. And they turn bright reddish brown in autumn, creating a vivid contrast between the light green of meadows and the dark green of woods and moors of heather. There are colonies of wild daffodils along the banks of the River Dove, where the river becomes as narrow as a one stride beck which one can easily cross. The TV said in its local news, when the daffodils of Farndale come into bloom is the time when spring comes to Yorkshire. I visited there at the beginning of April, but at that time, there was no flower anywhere. The daffodils grew only 3 or 4 inches in height. I could not see the real natural carpet of daffodils in full bloom, but I could image the scene.